Clear+Brilliant is ideal for refining the skin, improving texture and tone and preventing the early signs of ageing. Sun exposure and environmental conditions rob our skin of its youthful glow, Clear+Brilliant helps restore the glow buy smoothing the skin, reducing the appearance of pores and early signs of pigmentation, making you look fresher and youthful. At Skin Renu Clear+Brilliant is one of the most popular treatments for brides-to-be. A gentler resurfacing laser than its big sister Fraxel, Clear+Brilliant delivers the results without the downtime. You can have a Clear+Brilliant and go to work the next day with your makeup on and no one will know you have had a treatment. A series of 4-6 treatments 3-6 weeks apart gives visibly illuminated skin. Smooth skin is essential for brides as they will not only look more visibly radiant it will allow their makeup to sit well, last long into the day and give the most beautiful photos. We have the two Clear+Brilliant available, the original and the Permea allowing this laser skin treatment to be tailored to your individual needs. The original is perfect for those who have noticed their skin looking dull, with pores looking coarser and more obvious and have the beginnings of fine lines appearing. The Permia is for those who no longer have an even skin tone and have early signs of pigmentation. The Permea can be combined with topical products to further boost radiance as the skin is more permeable immediately post treatment. We have an excellent range of Mesoestetic ampules for your therapist to select from to enhance your treatment and get your skin glowing and even. Clear+Brilliant is so effective in smoothing the skin and restoring radiance because of how it works. Your skin is refreshed from the inside out. The laser energy creates millions of microscopic treatment zones in your skin, replacing damaged skin with healthy, younger looking tissue. When you arrive, your skin is cleansed and a topical aesthetic is applied. After 20 minutes when your face or face and neck is numb the 35-45 minute treatment begins. The most discomfort you will feel will be towards the end of the treatment as you will start to feel quite warm and become more aware of a gentle pickling sensation, no more than that experienced with peels. If you are having a Permea the topical treatment ampule is applied now. Cool compresses are applied to reduce the sensation of warmth and a post treatment cream and sunscreen is applied. The redness subsides by the morning and you can apply makeup as per your usual routine. Your skin will feel sandy to the touch but look the same. Over the following 2-3 days the sandy feel will disappear and your smoother clearer skin will be revealed, pores will look smaller and you will see the soft radiance of younger skin. So why trust your skin to Skin Renu? 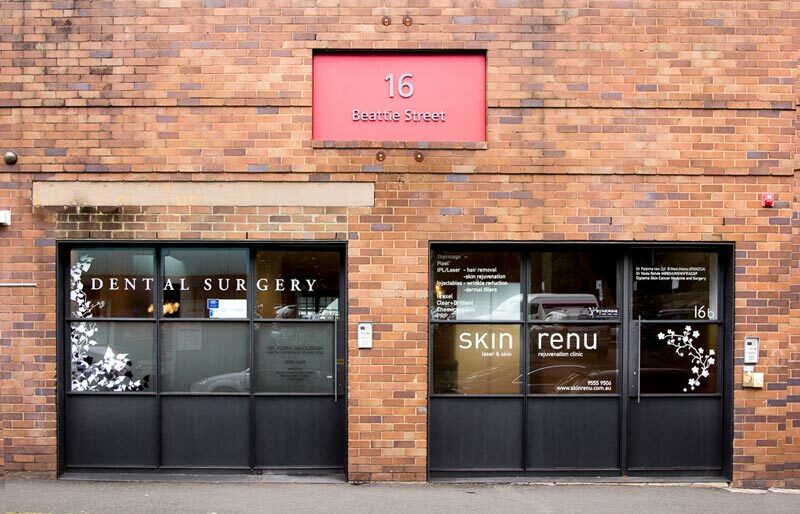 We were one of the first clinics in Sydney to embrace Clear+Brilliant, and have had many years of experience with this trusted system. Our staff is well trained, experienced and dedicated in achieving the best results for your skin, they understand how to optimise your treatments and get the best results.They want you to look and feel your best. Recently Anna Heinrich has been documenting her Clear+Brilliant pre-wedding journey on Instagram. We are excited to see her enthusiasm for Clear+Brilliant. A beautiful busy woman such as Anna needs a reliable treatment with minimum down time to be ready for her big day and we are confident she will be pleased with her results. Call 9555 9506 or email info@skinrenu.com.au to book your consultation today to see if Clear+Brilliant can help you achieve the beautiful radiant skin you desire.